The First West Coast Dave’s Cosmic Subs! Groovy, far-out, right on were the clichés of the 60s. Seal Beach can share in the spirit of the 60s with its neighbor to the south, the original Surf City, Huntington Beach, where the makes of the Beach Boys and gigs at the Golden Bear were common. 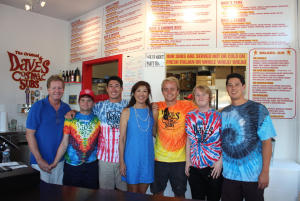 Seal Beach is a natural destination to put the first west coast Dave’s Cosmic Subs. In the heart of Seal Beach, on Pacific Coast Highway, between the Hill and Old Town, Dave’s road-bike-friendly, store hopes to rock the town with the subs that rock the Midwest. Coming Soon! Check back, we’ll let you know when we are up and running! We are always looking for friendly and great people to make subs, prep and to run the front of the store. If you want to join the Seal Beach Dave’s Cosmic family, stop by and put in an application!. The pier, Main Street and Pacific Coast Highway- the places. Old Town, The Hill, Rossmoor, Naval Weapons, Old Town, Leisure World and College Park East and West- the neighborhoods. 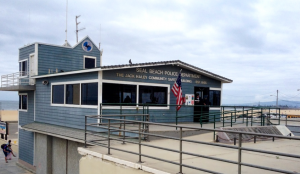 Seal Beach Police, Volunteer Fire and Seal Beach Life Guards- those that keep us safe. 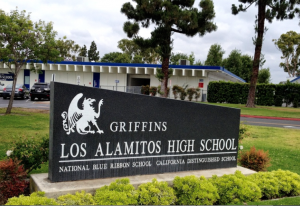 The awesome Los Alamitos School District, Churches and businesses, both big and small. This is the community of Seal Beach and the community in which we live. Seal Beach has given our family a wonderful community to live in. From McGaugh Elementary and Young Adventures and Sports Camp to Los Alamitos High School and music, water polo and swimming. We look forward to giving back to the community that gave generously to us. We hope to form relationships with our neighbors, Special Day Classes at McGaugh, support Seal Beach Lions Club, continue our membership with the Seal Beach Chamber of Commerce and sponsor the Seal Beach 10 K, Open Water Swim, Car Show and more. 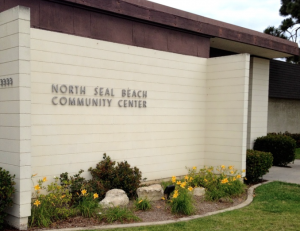 Seal Beach is not just a community but a way of life and we plan to keep it that way. Owners Larry Drum, MD is a retired physician from Los Alamitos and JoAnn Merrill-Drum is a senior mortgage consultant for Alpine Mortgage in Seal Beach. We look forward to our new adventure in a community that we love and serve.